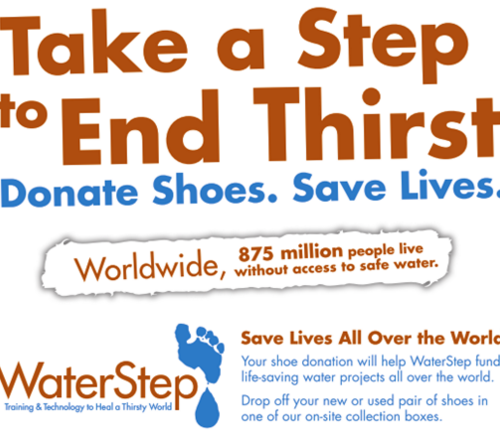 Abraham Lincoln Elementary Service Club is collecting shoes for WaterStep! We have set our goal at 1,300 pairs of shoes. So empty out those closets. Look under those beds. Scour through the garages. Bring all your old shoes to Abraham Lincoln Elementary. There is a drop box inside the front doors. No shoe will be turned away. We can take them all.